Published on September 6, 2017 in Recipes. 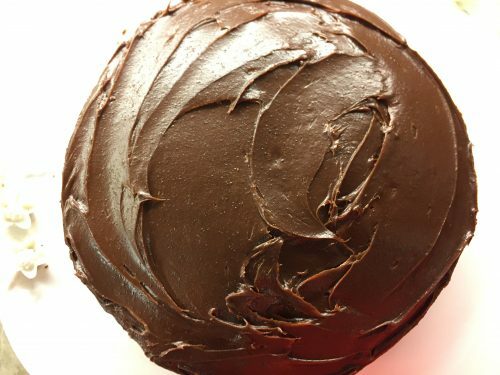 0 Comments Tags: chocolate cake, chocolate frosting, chocolate pudding filling, dessert, devil's food cake, Eclipse, Koloa Coffee Rum, Koloa Kaua'i Rum with Coffee, layer cake, spicy chocolate cake. I recently read an article that in the end of our lives we will realize that it is probably all of the little moments that were the most important ones. It encouraged me to take a step back, to realize that even when I am rushing through my day to meet all of the expectations placed on me that maybe I should take a second to appreciate what I have- wonderful family, friends and health. This week for me placed a focus on the little things….the important little things like spoiling those around me with some of their favorite foods. Even finding time for cooking and writing can be quickly squeezed out of the schedule. So I am reminded, as with all things, that time and attention are the keys to cultivating deeper inroads into taking time for my hobbies and myself. I took the opportunity this week to give my children some food moments. I’ve been admittedly overly busy with work during the week and social engagements on the weekends. I hadn’t had time to spoil them with my crazy creations and I was missing that special opportunity to connect with them in this way. I had a few creative dinners under my belt, (then out of the blue, while getting ready to watch the eclipse) when inspiration hit. So, the eclipse, it was an inescapable news headline. The event was garnering national news, social media channels were filled with hashtags and emojis and as you might imagine it made me think of food. 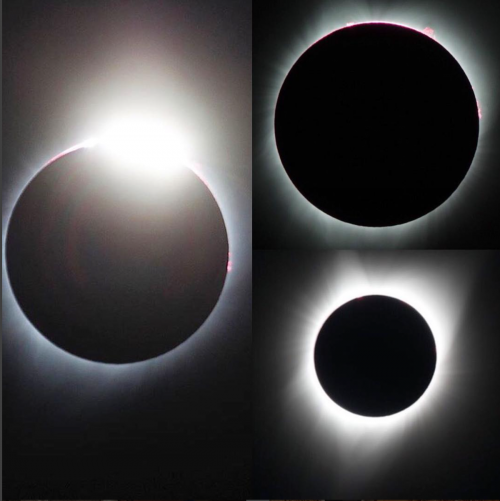 Let me set the stage for this story…While attempting to watch the eclipse with my son, we repeatedly went outside in hopes of catching a glimpse of this well hyped event. Much to our dismay, cloud coverage made it a non-event. After a few attempts to participate and zero visibility to see the big round balls in the sky, we agreed to go back in our house and watch it on TV. It left us with that feeling I often have when watching the ball drop in New York via telecast on New Year’s Eve. Left out. As the day progressed I started to wonder if I could turn this anticlimactic event into something memorable for all of us. I don’t typically bake cakes ‘just because’, they are reserved for birthdays or the occasional dinner party, however I thought this could be a house-hold opportunity to make food relevant and fun for them. I would like to introduce you to the Spicy Deep Chocolate Eclipse Blackout Cake. I’m going to be honest, this is not one of those whip up a cake at the snap of your fingers recipes. 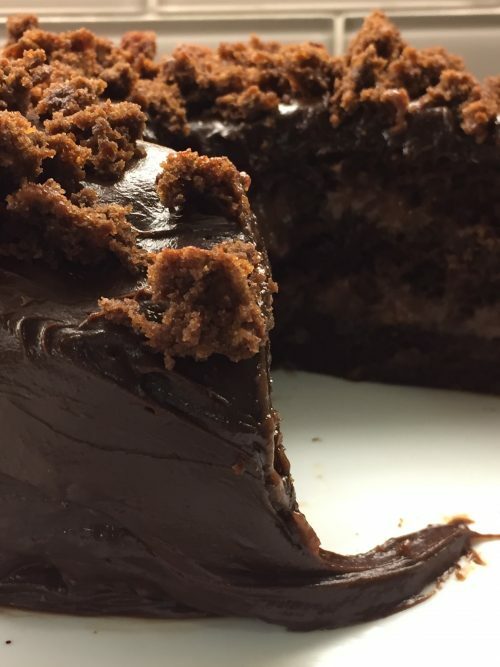 It takes time, and it is so very much worth every moment to make this absurdly decadent chocolate cake. 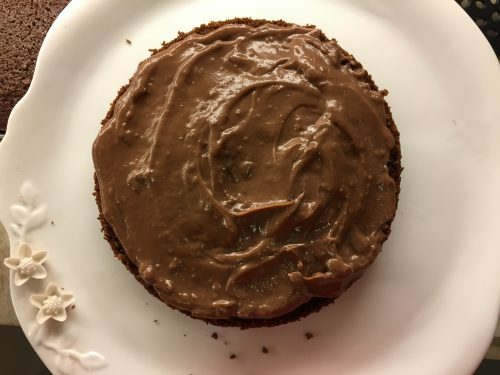 It’s really three separate recipes requiring multiple steps (ergo it is the antithesis of a good blog recipe), and if you are as sadistic as I am in the quest for the perfect cake then read on. There are over two dozen ingredients in this recipe and you’ll be using (and later washing) heaps of spoons, spatulas, bowls and pans. If cake could become a cult this would be the recipe to do it! Still not convinced? Let me seal the deal for you. 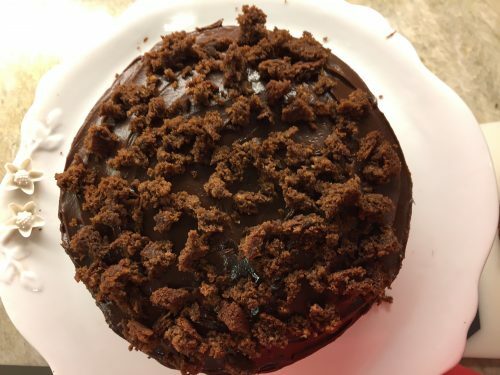 This cake is comprised of three layers of devil’s food cake that has two surprise palate kicks, keeping it moist and luscious each layer is stuffed with dark chocolate pudding, and ultimately slathered with chocolate frosting and topped with chocolate cake crumbs made from a secret fourth layer. I had to share it- after I posted a few photos of it and my kids shared their eclipse story at school the texts came flooding in. If you are up for the commitment I assure you that this recipe will not disappoint you or any other mouth in the vicinity. To make the filling, in a small heavy saucepan, mix sugar, cornstarch and salt. Whisk in milk. Cook and stir over medium heat until thickened and bubbly. Reduce heat to low; cook and stir 1-2 minutes longer. Stir in chocolate until melted. 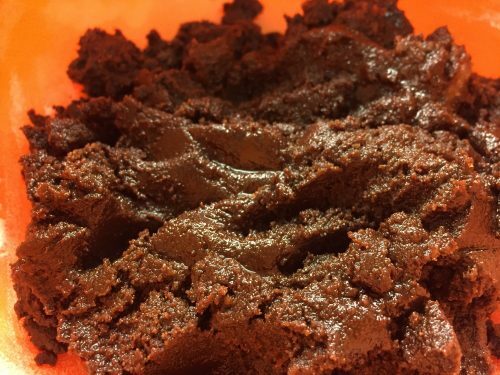 Transfer to a bowl; stir in Koloa Coffee Rum (or Kahlua). Cool slightly, stirring occasionally. Before refrigerating, press plastic wrap onto surface of pudding to avoid a thick skin from developing on the top of the pudding. Refrigerate, covered, 2 hours or until cold. Preheat oven to 325 degrees. Line bottoms of two greased 8-inch round baking pans with parchment paper; grease paper. In a small bowl, whisk flour, baking powder, baking soda, cayenne powder and salt. In a large saucepan, melt butter over medium heat. Add cocoa; cook and stir continuously until well blended. Add in sugars and stir well until combined. 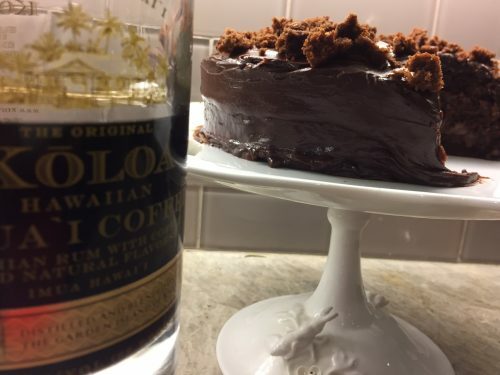 Remove pot from heat; stir in buttermilk, and Koloa Coffee Rum (or Kahlua). Whisk in eggs, one at a time, until blended. Stir in flour mixture just until combined. Transfer batter to prepared pans and bake 35-40 minutes or until toothpick inserted in center comes out clean. 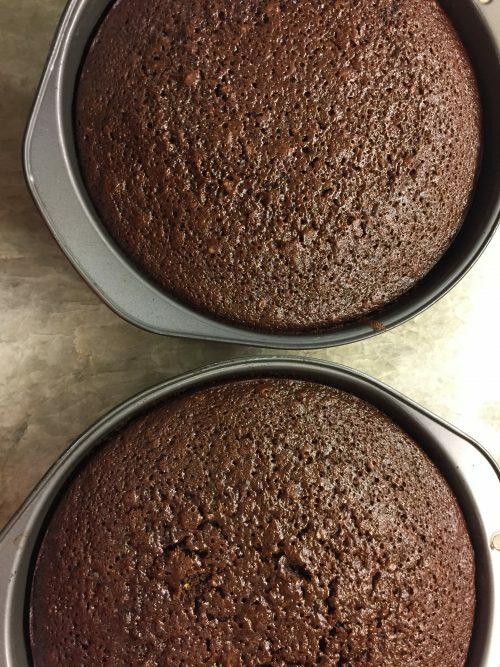 Cool cake in pans 10 minutes before removing to wire racks; remove parchment paper and allow to cool completely. 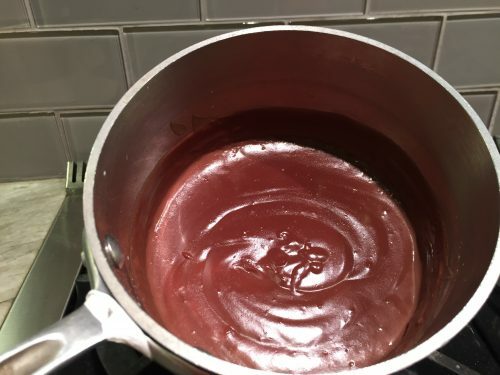 To make the frosting, in a microwave safe bowl (or in the top of a double boiler or a metal bowl over hot water), melt chocolate and butter; stir until smooth. Remove from heat. Whisk in hot water, all at once. Next whisk in corn syrup and Koloa Coffee Rum (or Kahlua). Refrigerate approximately 30 minutes or just until spreadable. 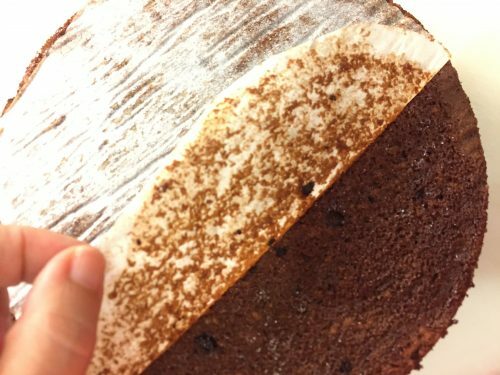 Using a long serrated knife, cut each cake horizontally in half. Place a cake layer on a serving plate. Spread with half of the pudding. Repeat with next layer. Top with a third cake layer. Spread frosting over top and sides of cake. Crumble remaining cake layer; liberally sprinkle crumbs over top of cake, pressing lightly to adhere. Refrigerate for at least one hour before serving. 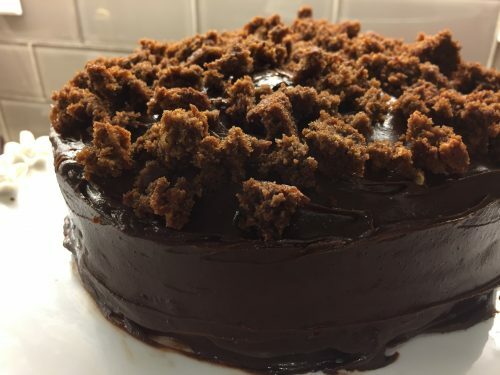 Recipe inspired by research done on the famous chocolate layer cake from Ebinger’s, the legendary chain of Brooklyn bakeries that closed its doors in 1972. 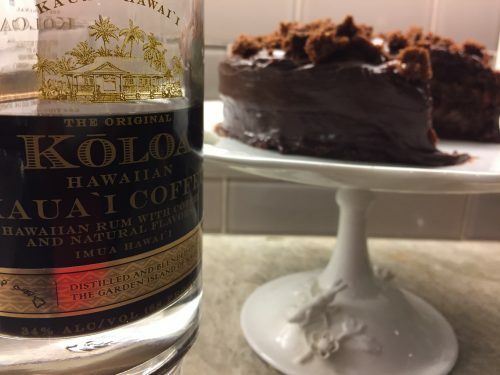 Disclosure: I received a product sample of Koloa Coffee Rum for recipe development when I visited their tasting bar in Kaua’i. Stay tuned for more recipes inspired by this unique and rich beverage that is perfectly amazing all on its own. The views and options expressed here are my own.